ALTA - Metrics are Confusing. We can Help. Metrics are Confusing. We can Help. "If you don't know where you are going, you might wind up someplace else." Seriously, though, Yogi Berra is right: How do you know you're hitting your goals if you don't keep track of your performance? Craig Haskins, chief operating officer, Knight Barry Title: Craig's areas of expertise originally focused on title insurance, complicated closings and troubled titles. However, over the past few years he has spent most of his time organically growing the company and acquiring title agencies. Craig has been successful over the years by knowing the numbers and following key metrics. Want to learn how Craig can deliver for his customers yet still have time to coach baseball for his sons' teams all summer? He'll break down the numbers for you. Andi Bolin, president, Celebrity Title Co.: As president of Celebrity Title for the past six years, Andi will tell you she's honored to lead a team comprised of amazing servant hearts, purposeful leaders and an unparalleled compassion for others. But how does she ensure her dedicated staff continues to deliver for their customers? Andi will offer insight in the type of data she looks at to keep delivering for consumers, real estate agents, builders and developers. 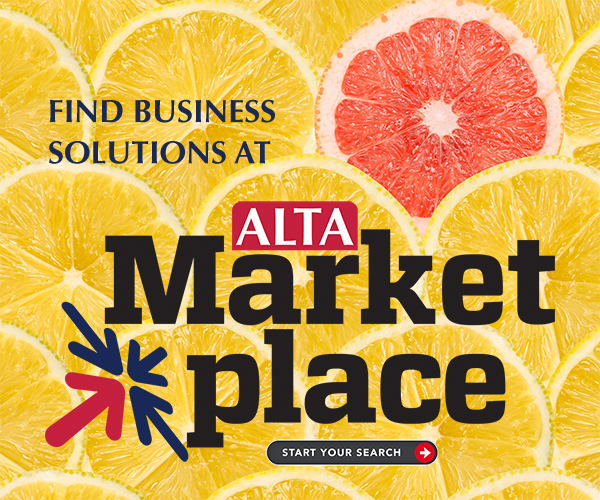 ALTA SPRINGBOARD is special: At no other event will you find specific interactive outlets for initiating discussion with your peers on today's most important topics relevant to the industry. Join us March 20-21 at The Peabody Hotel in Memphis to take your business to the next level. The ALTA SPRINGBOARD room blocks are going fast, so reserve your room today! Contact Claire Mitchell regarding sponsorship and vendor opportunities.